Hi, my name is Richard Lomerson, owner and operator of Gutter Helmet® by Classic. We began serving Kentuckiana as Classic Security Door Systems Inc., building, selling and installing quality security doors and ornamental iron on customers’ homes. Many of our installations are still there today, protecting homes and providing the peace of mind our customers were looking for. While we no longer produce security doors or ornamental iron (our products having evolved along with the needs of our customers and their homes), our ideals of security and quality have never changed. We have always looked for products which are of the finest quality and provide the best protection to improve the homes and lives of our customers. We remain committed to delivering the same security and peace of mind we have provided since Classic Security Door Systems Inc. was established more than 30 years ago. We have put together a first-class team of people dedicated to providing the best experience you can have from a home improvement company, coupled with the highest quality products available on the market today. 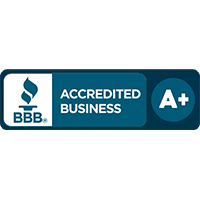 Gutter Helmet® by Classic has built a reputation for being the best at what we do, and we are very proud to have earned an A+ rating with the BBB. I want all our customers to have the same feeling of security and peace of mind we started with in the beginning and I personally assure you we want to, and will do everything we can to develop a lifetime relationship with you. Customers for life. 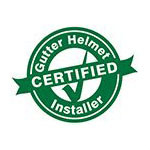 Get in touch with Gutter Helmet® by Classic at (800) 824-3772 or use our online form to schedule an in-home assessment. We look forward to giving you the quality home improvement solutions you and your household need.